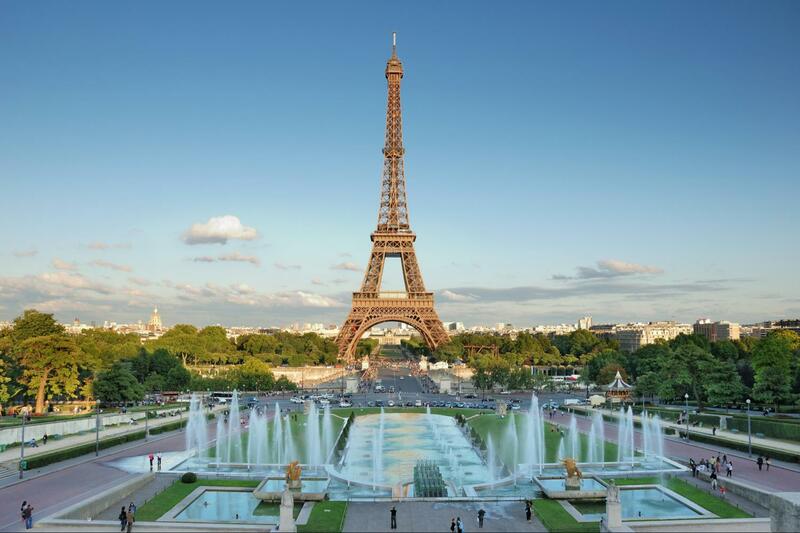 Paris has a way of romancing visitors with its elegant beauty and magical ambience. 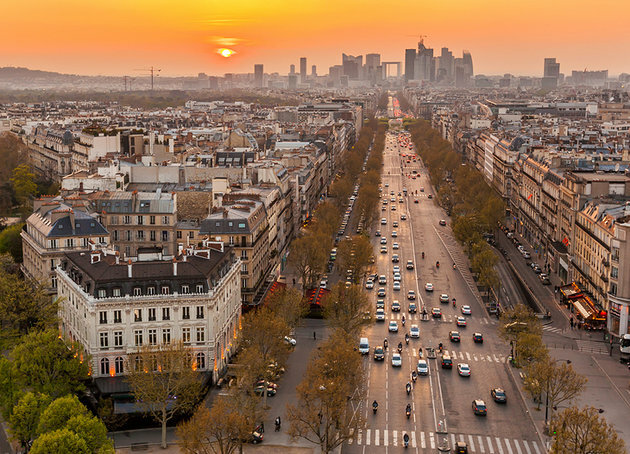 This incomparable city is filled with grandiose monuments, yet the charm of Paris lies in the small details: the cobblestone streets, prettily trimmed trees, perfectly puffed pastries, dainty tea salons, Belle Epoque brasseries, and avant-garde art galleries. Paris is synonymous with the finer things in life, it will cast a spell of enchantment on you. It may be the most famous monument in the world and is certainly the most emblematic of Paris. The Eiffel Tower was designed by Alexandre-Gustave Eiffel and built for the Paris Exhibition of 1889, which marked the centenary of the French Revolution. The tower stands 307 meters tall. It was the world's tallest building until the Empire State Building was erected. 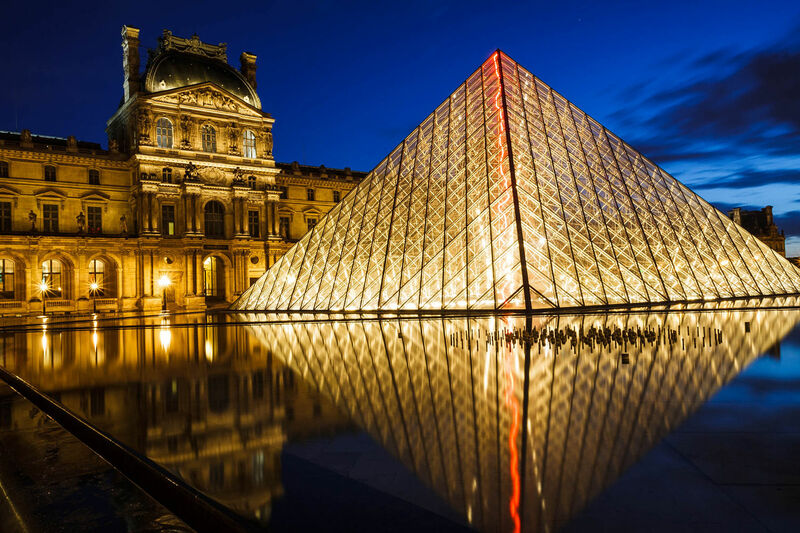 It was once the home of France's Kings, the Louvre is now a marvelous museum of fine art. Visitors enter the museum in the courtyard of the palace at the glass pyramid. 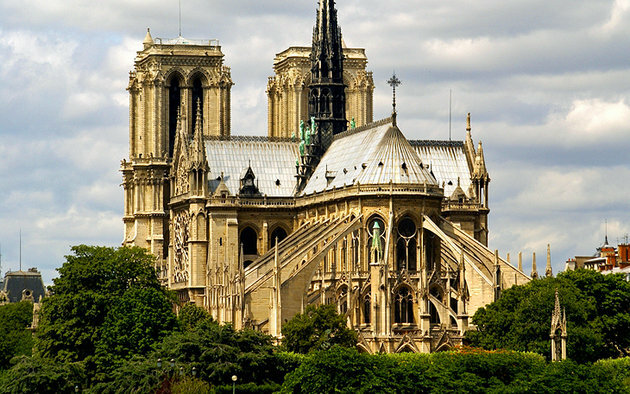 A triumph of Gothic architecture, the Notre-Dame stands in the heart of Paris. It was founded in 1163 by King Louis IX (Saint Louis) and Bishop Maurice de Sully, and the construction took more than 150 years. The Champs-Elysées is divided into two parts with the Rond-Point des Champs-Elysées as its intersection. The lower part of the Champs-Elysées, bordering the Place du Concorde, includes a spacious park, the Jardin des Champs-Élysées, and the Petit Palais fine arts museum. The upper part, extending to the Arc de Triomphe, is lined by luxury shops, hotels, restaurants, cafés, cinemas, and theaters. This bustling area draws many tourists and is a gathering place for Parisians. The Palais Garnier Opera House is a sensational Neo-Baroque theater designed as a venue for opera and ballet performances. The facade features classical columns and eight sculptures representing allegorical figures: Poetry, Music, Idyll, Recitation, Song, Drama, and Dance.